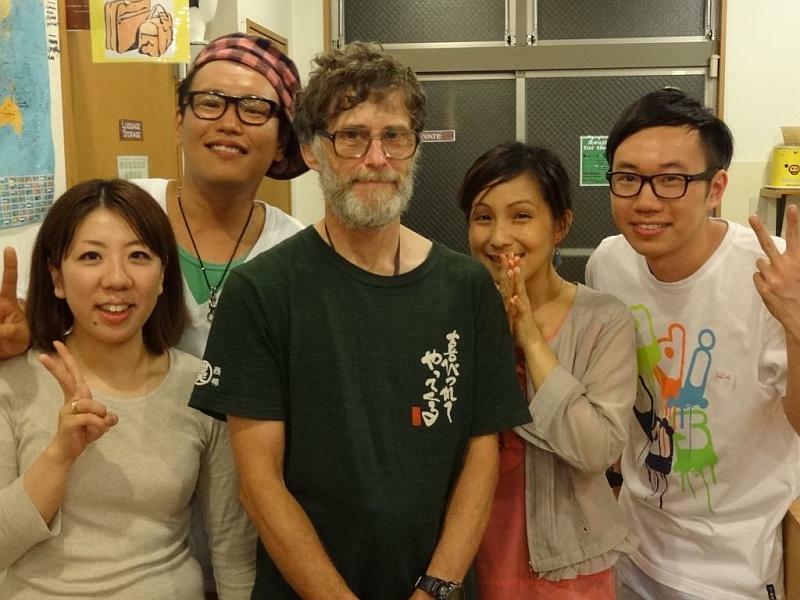 Thursday 14th June 2012 – Ōsaka. Arrive at Ōsaka Kanko Ferry Terminal at 6:00am. Two men are sitting that their desks at their respective shipping offices. 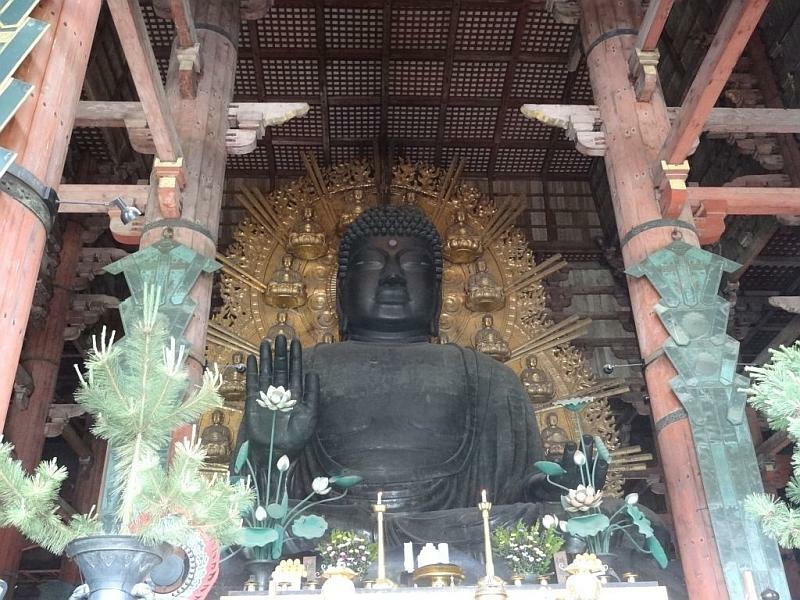 I go to one to ask the way to Ōsaka, he shoos me away with the wave of his hand pointing, to the one next door. I go but he has already disappeared to the back office earnestly typing something important. He cannot hear me. It makes me laugh! 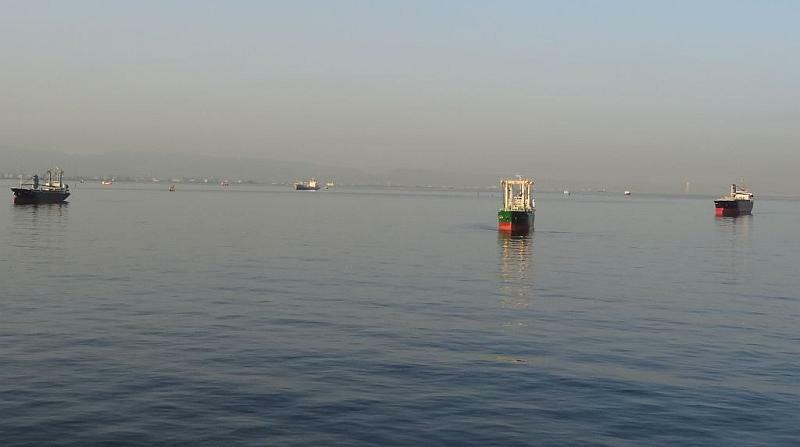 I leave to see if I can find my own way off this artificial island but it is a dog to get off. Eventually come to a customs building, go inside to find a map in English and a lady prepared to help. Must return to almost the ferry terminal again and take to only road open to bikes. 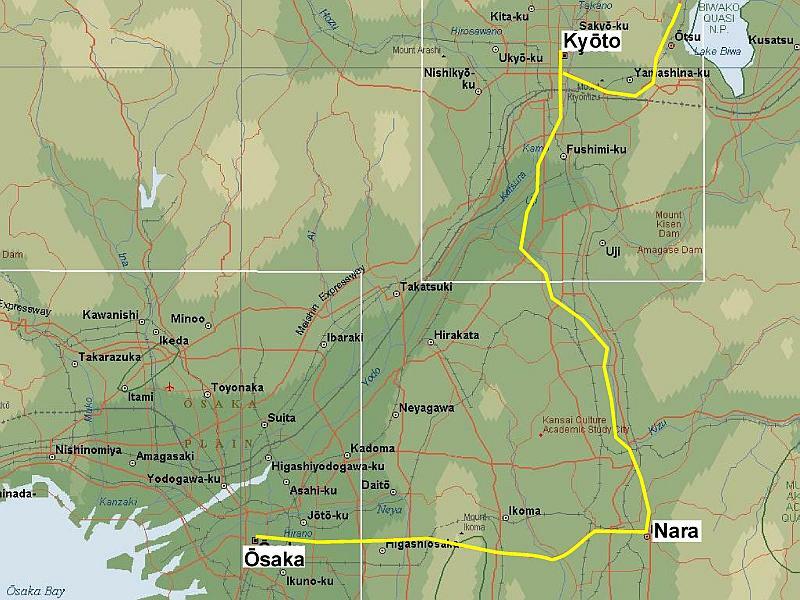 Discover I don’t have the Kansai Road Atlas, which is a bugger. If I don’t have, where is it and what am I going to use? So make do with the guest house brochure I picked up a few days earlier and atlas from Shikoku. In the end I arrive bang on target. In the end it wasn’t too difficult. Check in at J-hoppers Guest House, it is quiet at first but fills up later. It is hot and sticky. Have a siesta. Toothache eases. 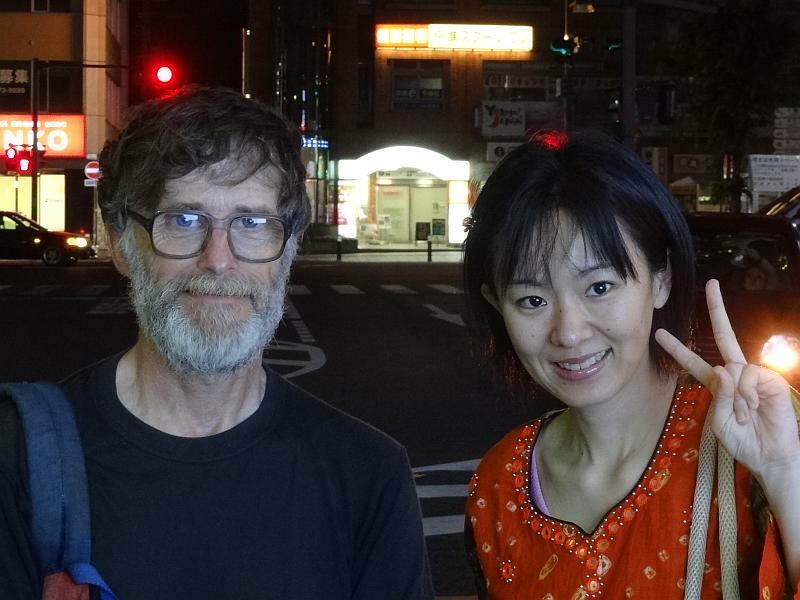 Friday 15th June – Ōsaka. 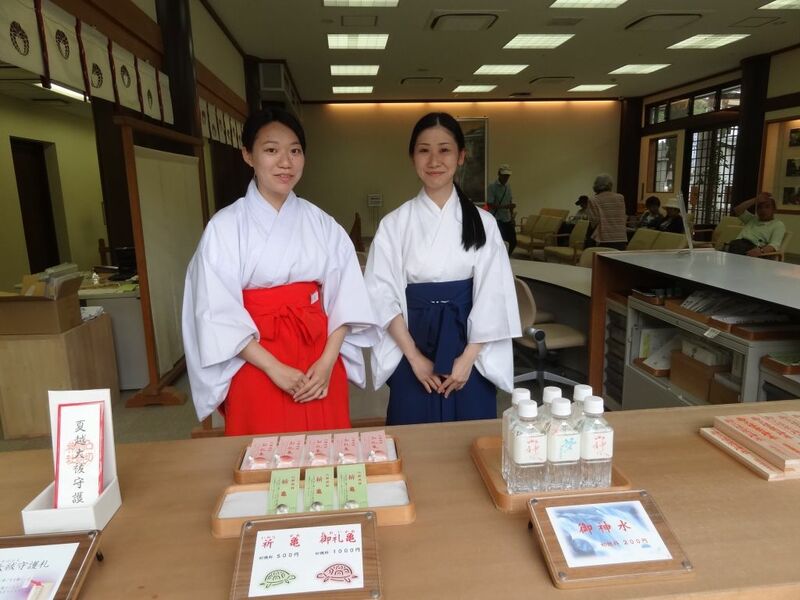 Meet Yumi and go to Ishikiri Shrine. 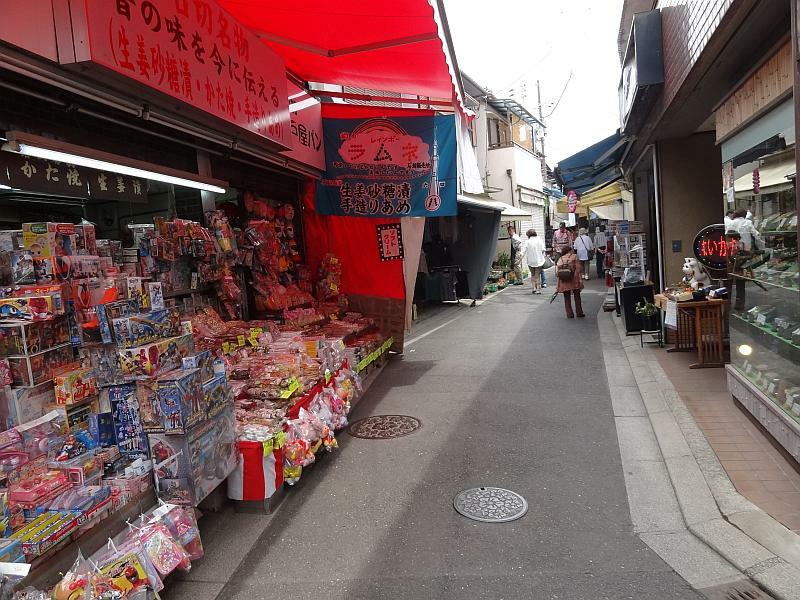 The blurb says: “Located in Higashi-Osaka City at the foot of Mt. 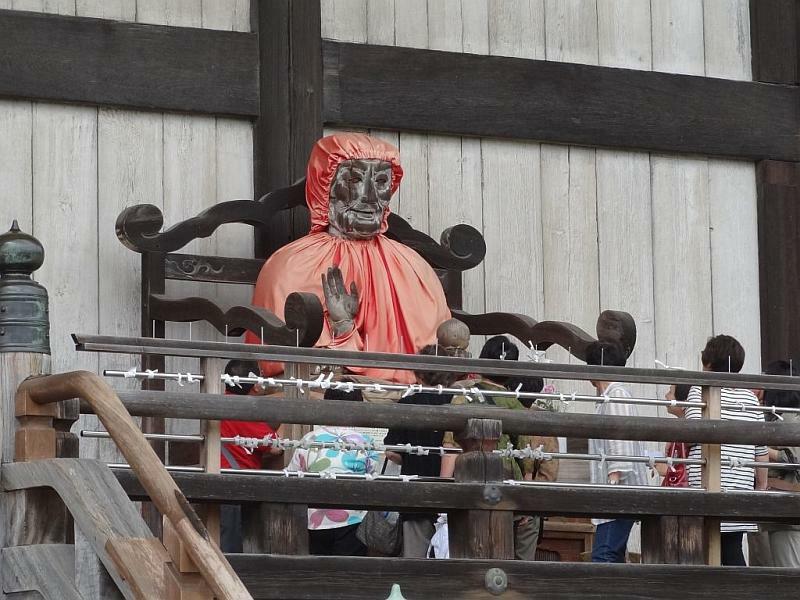 Ikoma, it has long been familiar to people in Osaka as a deity who cures dembo (tumors and boils). 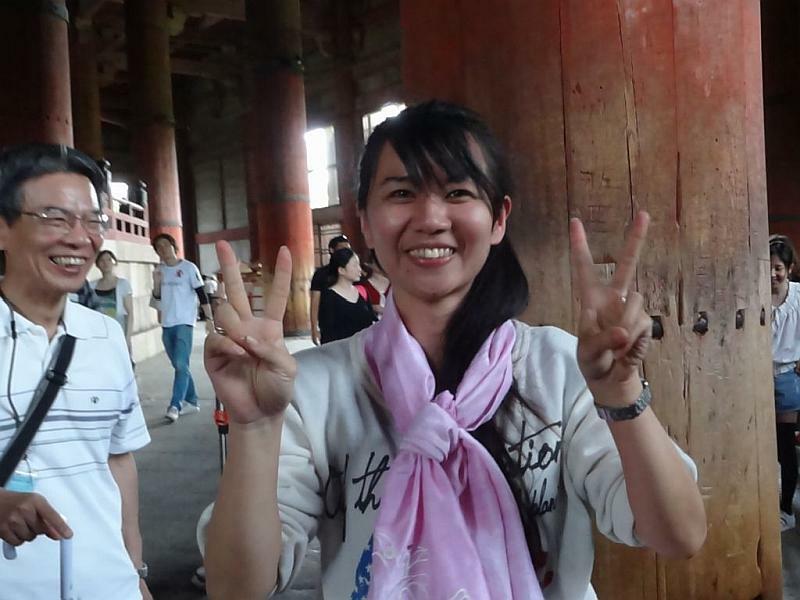 Believed to have special powers to heal diseases, the shrine is worshipped by many people even today. 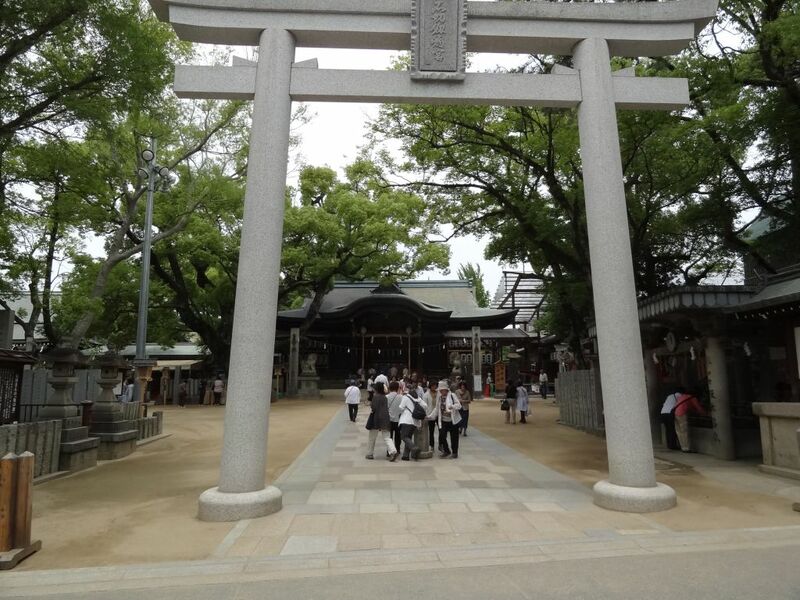 The name “Ishikiri-Tsurugiya Shrine” is derived from the enshrined objects of worship: a sword and arrow (tsurugi and ya) that are able to cut (kiri) and penetrate any rocks (ishi). 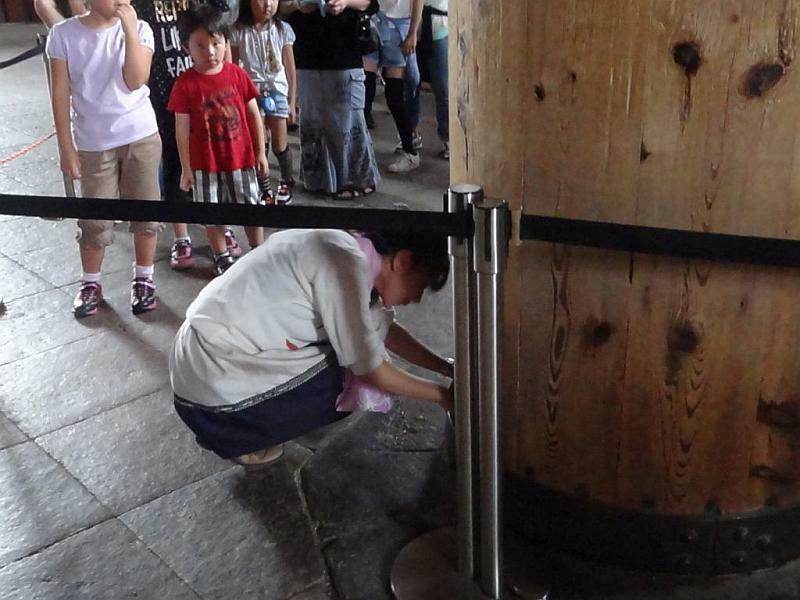 Worshippers circle 100 times around two stones about 20 meters apart while praying for loved ones to be cured of their disability. While Yumi carries out the ritual I find a restroom with comfy chairs and have a siesta. Later watch an interesting ritual that I had little idea what it was about but noticed the look on pilgrims faces as being similar to those who go to Christian shrines. After a feed of takoyaki we head back to Osaka and say bye. Yumi is my best friend. Without her help to get out of a deep hole I dug for myself many years ago I may not be here now. Back at J-hoppers it is party night. I’m not a party person but this I enjoyed. 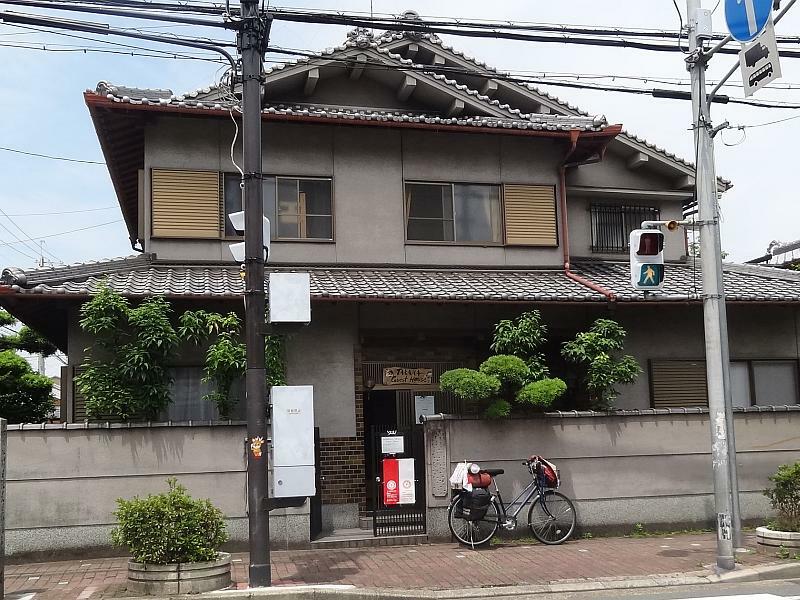 Saturday 16th June – Ōsaka to Nara. It is raining so delay departure, it is only about 40km to Nara so should take about 3 hours. Leave mid-morning when rain eases. 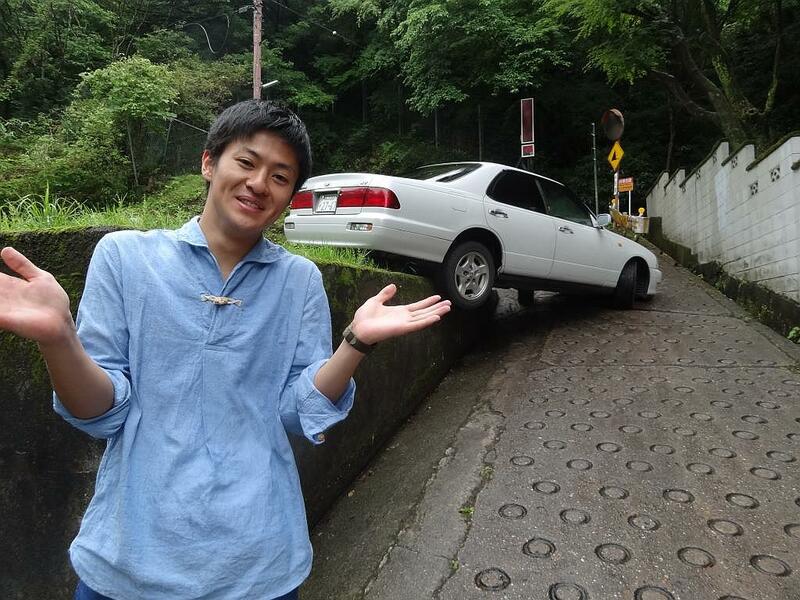 Cannot use the car-only road so must take Route 308 over Kurawami Pass. First section is flat and easy and cruise along nicely until reaching the line of hills. The road suddenly narrows and climbs steeply. This can’t be the right way so ask a lady. She tells me “no” and points me back down the hill. She keeps asking “tensha?” which I think must be short for jitensha – bike – so I keep saying “yes”. Wrong, I learn later she is saying “train” and I should have said “no”! Someone else points me in the right direction. It was the right road, very steep and narrow so back up I go. Route 308 is a road of epicly steep proportions! Begin to get hungry and worry – I should have eaten something at the last town I passed through? There can’t be much out here in the country. Soon after come to a tiny restaurant that is open. 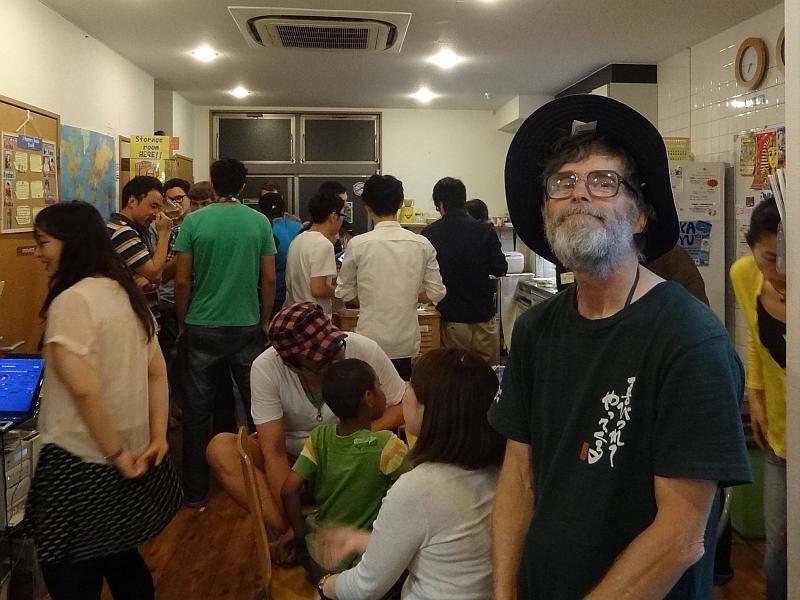 Order ramen and have a nice chat with the locals who kindly pay for my meal. 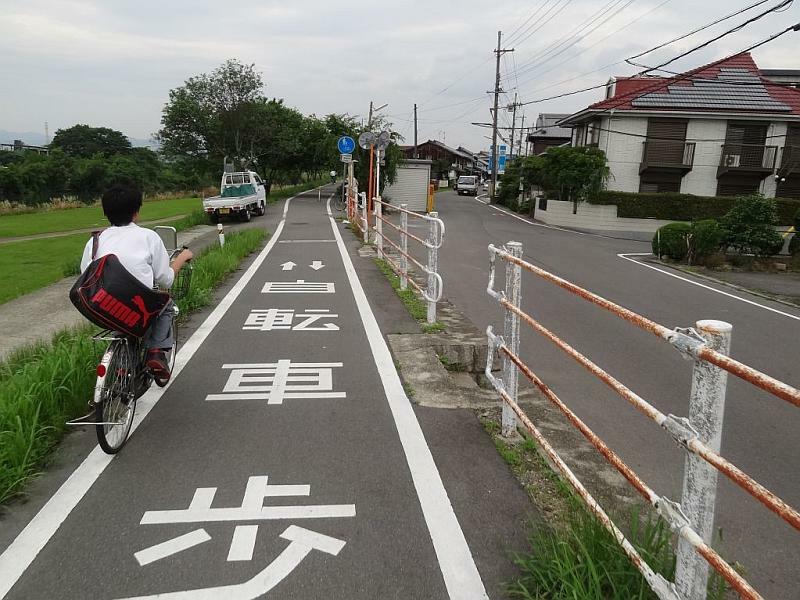 They warn me it continues very steep for another 1.6km, most of the way to Kuragari Toge. I don’t worry, she’ll be right! I have plenty of time. Soon after resuming my push, a walker catches up to me and starts to push from behind. Even so it is really, really hard going. Even then we could only do around 20 metres at a time before having stops for rests. The road seems to go on for ever. In fact if Kenji had not helped me push my bike all the way to the top I may not have made it. Then, when we arrive, he buys me food and drink from the restaurant at the top. Thank you very much Kenji! “Very steep” are not the right words for this road. If it really climbs 400m in 2.5km, that means it has an incline of around 15%. 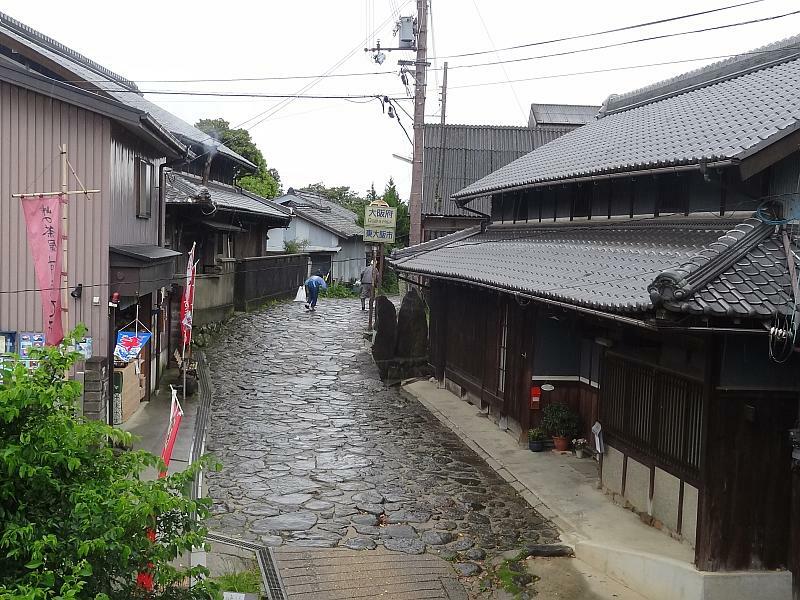 I am also informed this is the only stone-paved road remaining in Japan. Whatever, it should go in some kind of record book. After the refreshments at the top of Kuragari Pass it is almost as steep going down the other side, I worry my brakes might, well break or catch fire. After getting to the bottom of this part of the road, there is another shorter very steep uphill section. 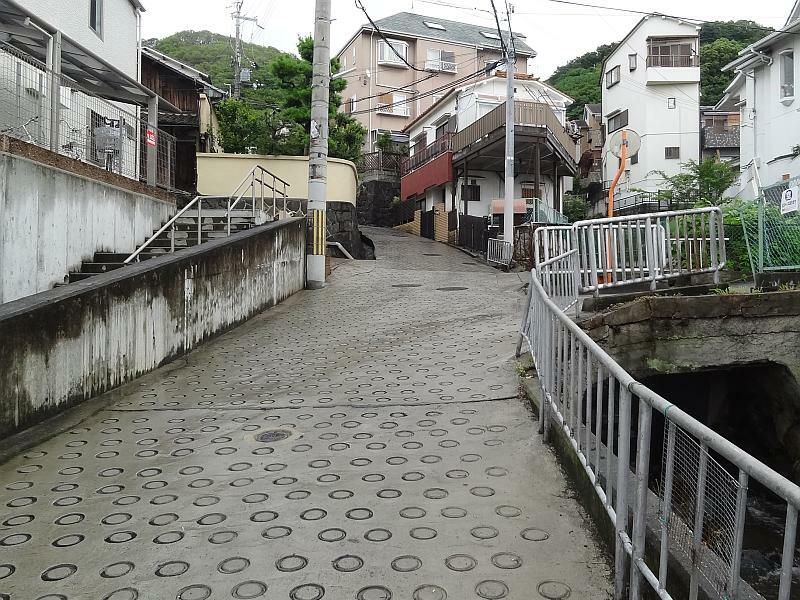 Another person (Kenta) helped me push my bike up that. On the Nara side it is poorly sign posted and changes in direction many times. At least I think it is poorly sign-posted, although maybe it is because I can’t read the road signs, which are not the standard blue bi-lingual kind. Many times I did not know if I was going the correct way. And it rained most of the day! Arrived at the guest house about 7:00pm after 8 hours! Arrival was delayed by the map at the end of the street being wrong and had me go one street too far. Ended up passing the building 3 times before seeing the sign. 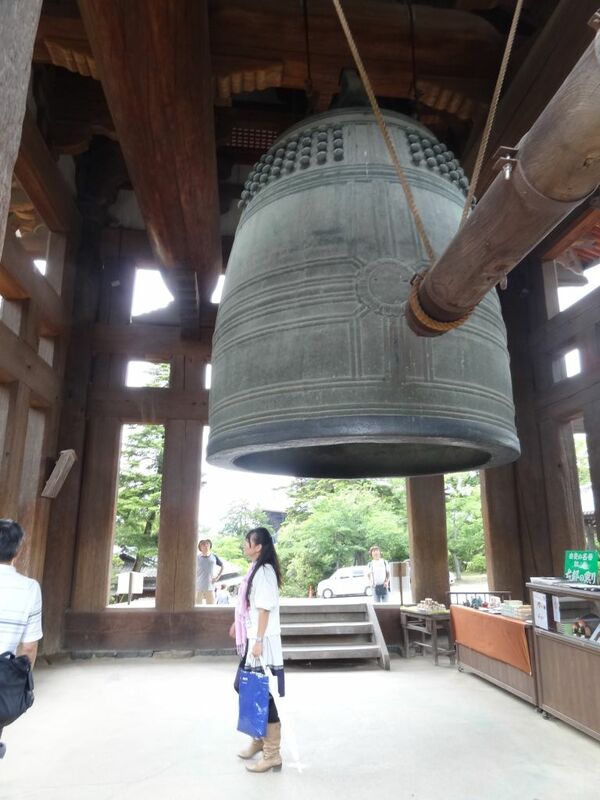 Sunday 17th June – Nara. 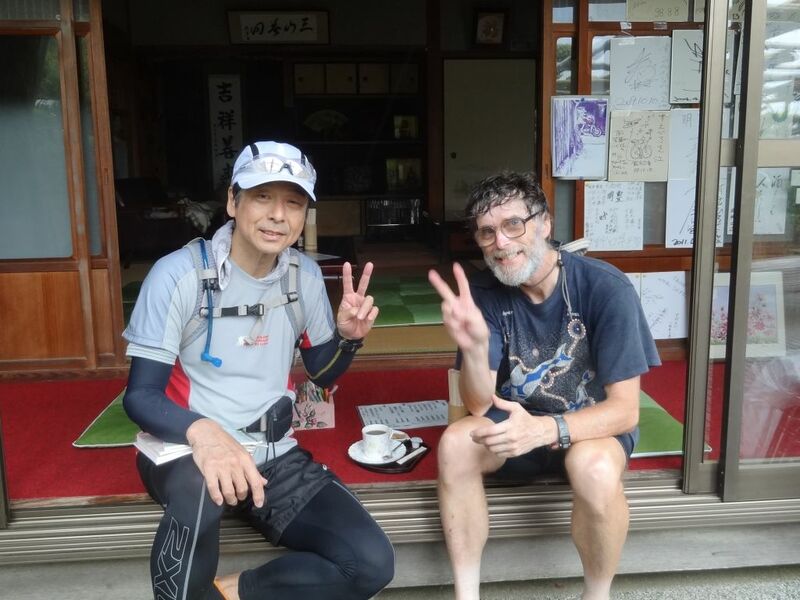 Stayed a second night in Nara to recover. 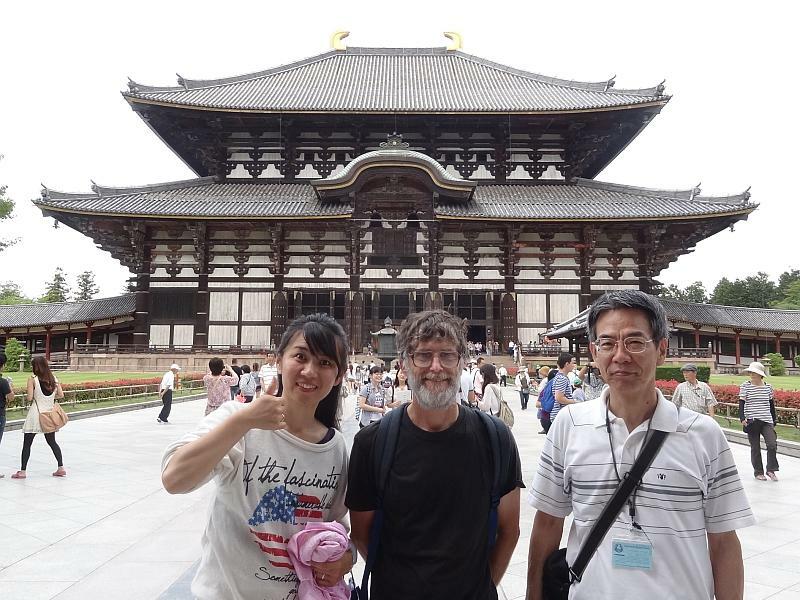 Went to Tōdaiji Temple with Shigeharu, an English-speaking guide from the Nara Guide Club who offer free guided tours, and Midori from Kyoto, another guest at Takama. 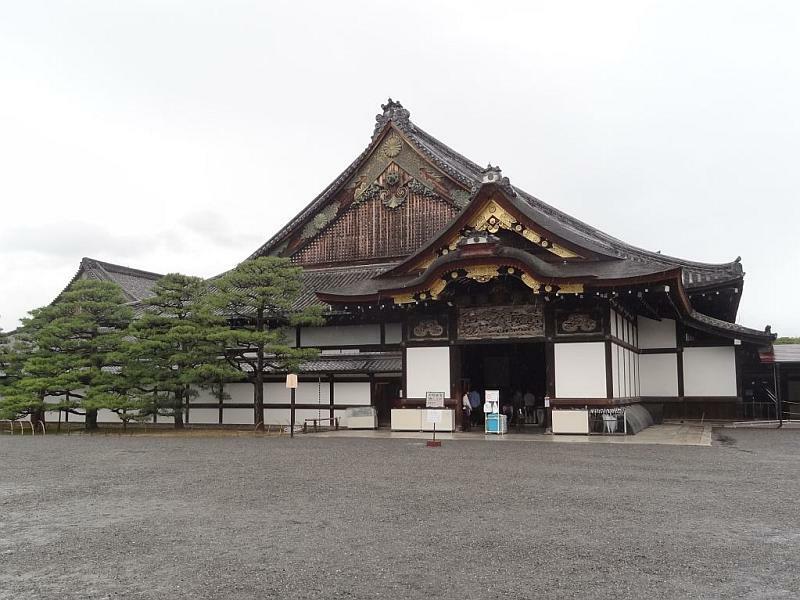 Tōdaiji Temple is the largest wooden building in the world. Even though it is 30% smaller than the original, it has some impressive dimensions. Work started on it in 728. It has burnt down twice and the current Great Buddha Hall dates from 1709. Sightseeing in the heat was quite hard going but interesting. 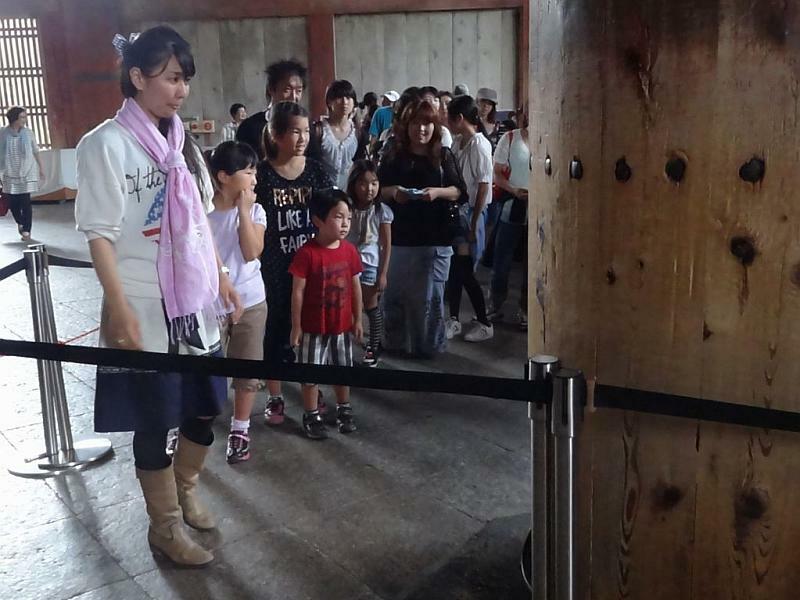 A supporting post in the Daibutsuden has a hole apparently the same size as one of the Daibutsu’s nostrils. 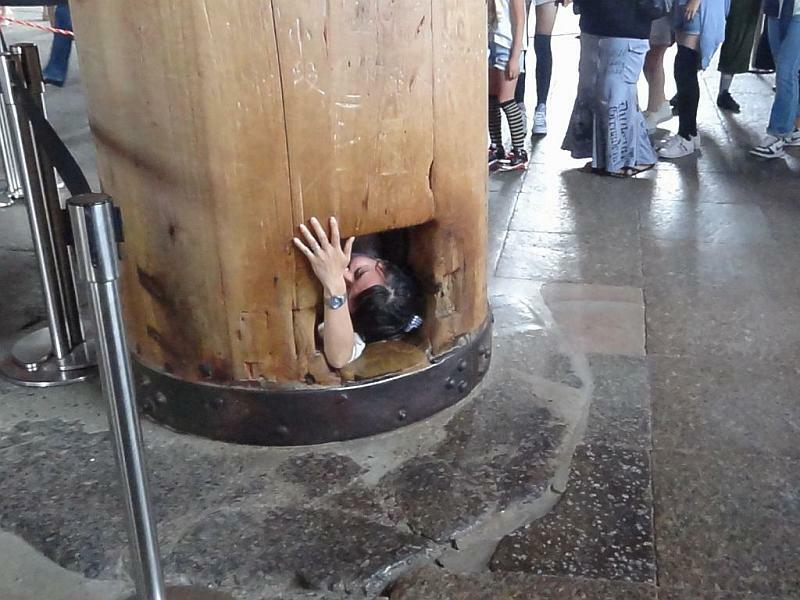 Legend has it that those who pass through it will be blessed with enlightenment in their next life…. Will she get stuck or won’t she…? and if you don’t do it, this is what might happen to you…. 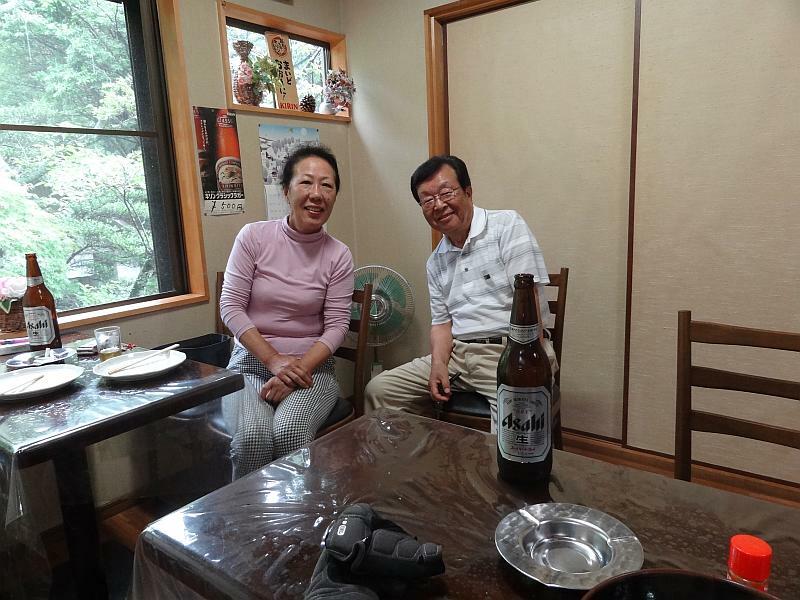 Midori departed for home and I had only been back at the guest house a few minutes when Nanami came. What are those red lights on our heads? Could it be… Enlightenment? Had a pleasant time catching up with people and events from last year at Sendai as we strolled around the nearby shopping centre. 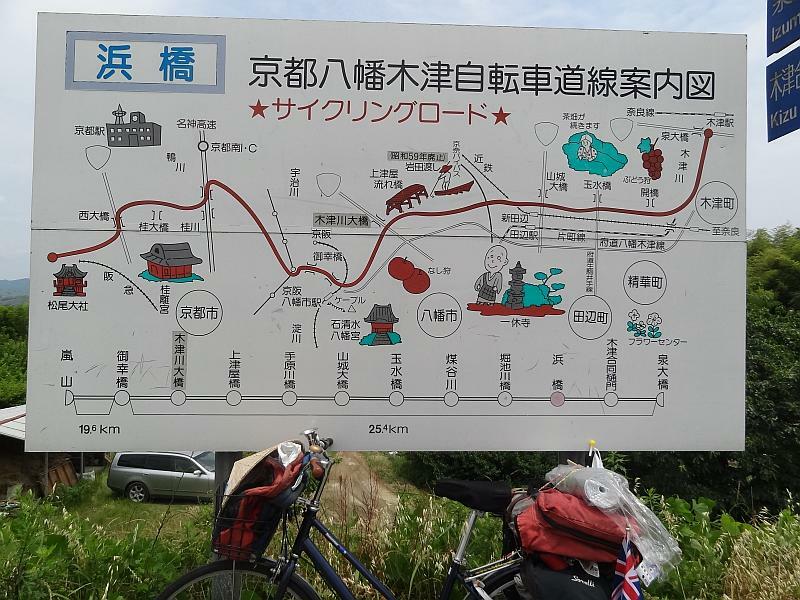 Monday 18th June – Nara to Kyōto. 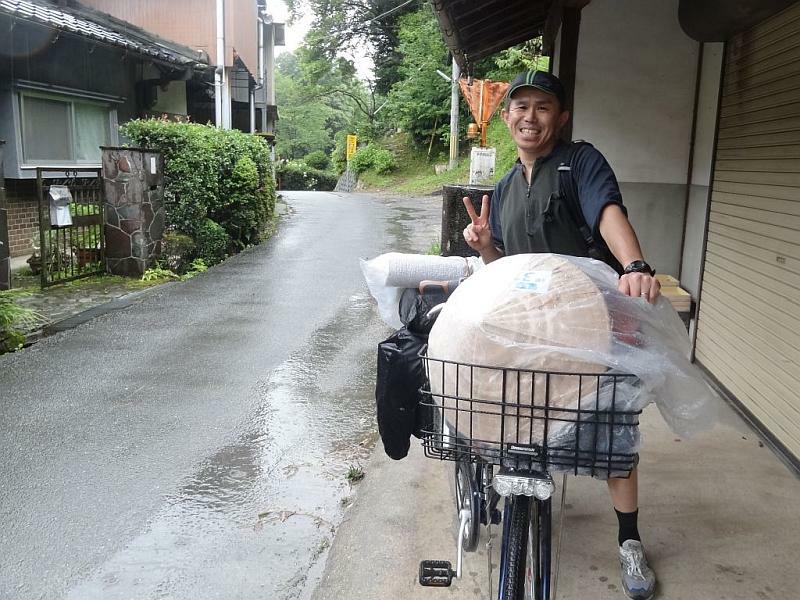 Head off from the guest house and find the cycling road to Kyoto. Really nice. Meet lots of lycra-clad cyclists out on training runs. One gives me a snack. Gets hot, see a temperature gauge at over 30c, it is hard going in the heat, but not as hard as going over Kurawami Pass! 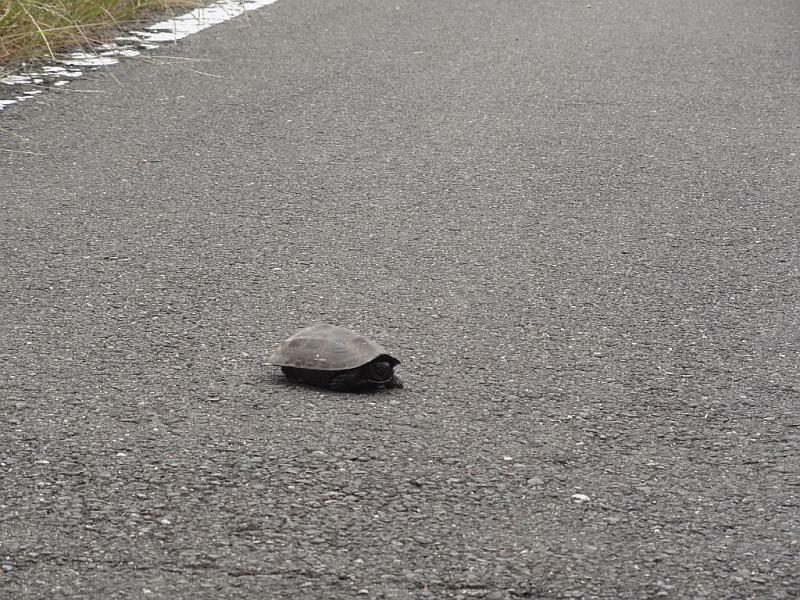 Pass a tortoise crossing the cycling road. 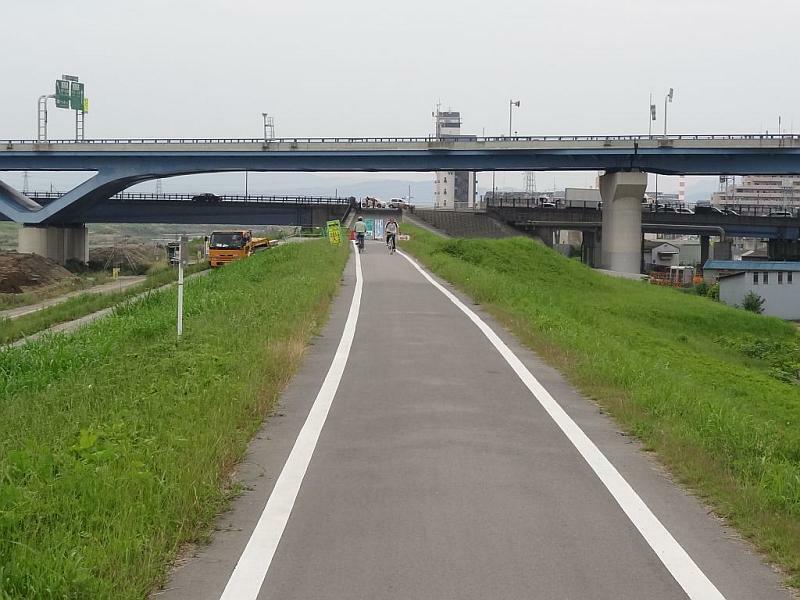 The ride I did along the Kyōto end of the cycling road last year was worth it, as this year I recognise the location where I lost track of it. Arrive at Kyōto before the rain and get to my destination OK without any trouble. A good job as I didn’t have the address or phone number with me. 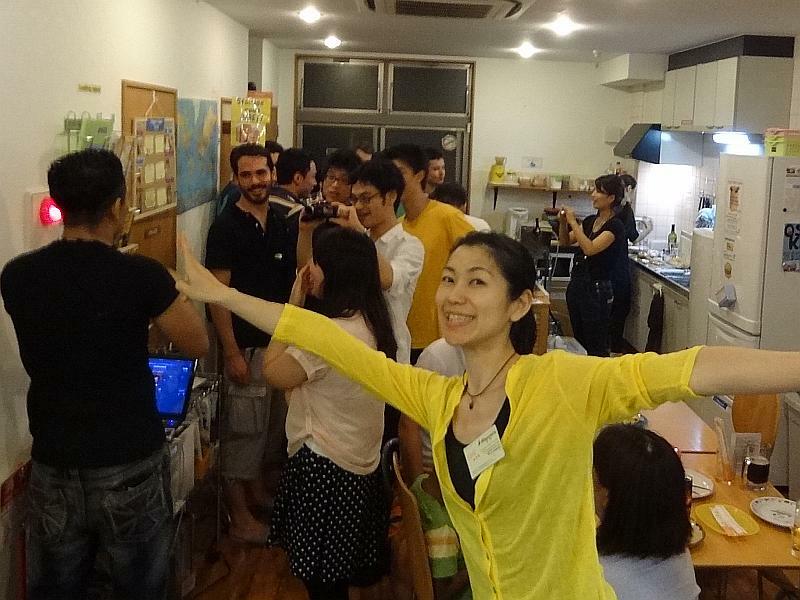 Tuesday 19th June – Kyoto. 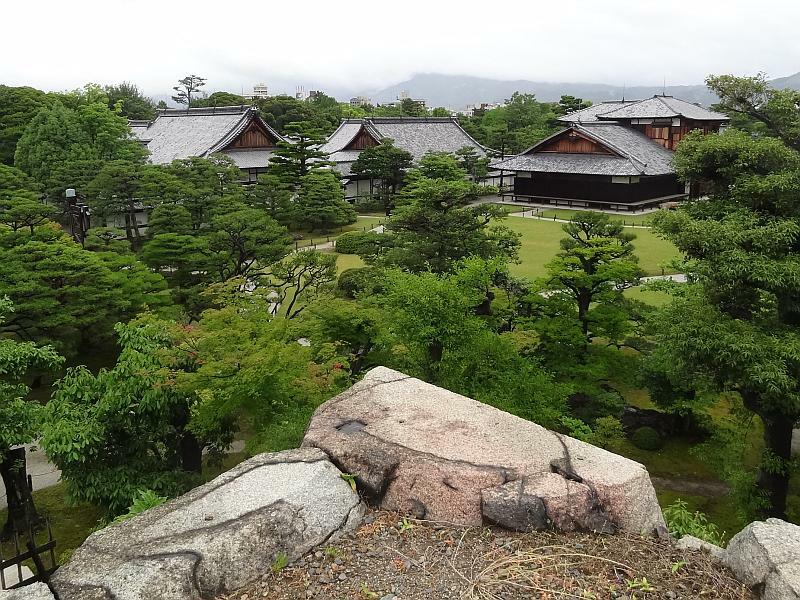 Kyoto has something like 17 world heritage sites, such is it’s importance to Japan’s culture. Pretty impressive. 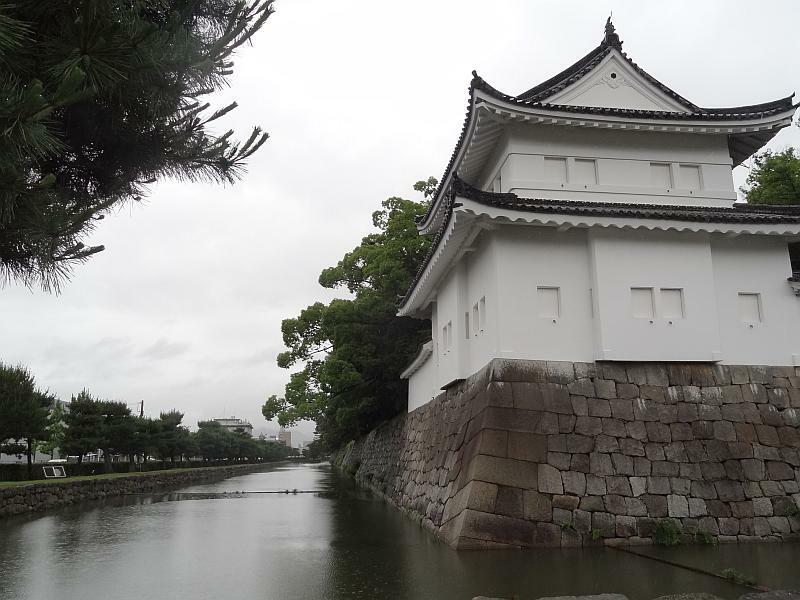 One could spend a great deal of time (and money) exploring the historical sites – just in Kyoto, Osaka and Nara alone. But alas it is time for me to move on. Rain and wind ease and fine up later.